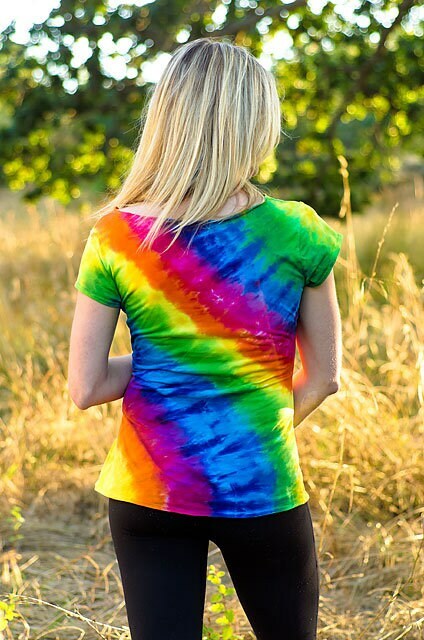 Hand dyed twisted front tee in rainbow colors. Lightweight breezy 100% soft cotton Jersey. Longer stylish body length. Curvaceous and body hugging cut is extremely flattering. 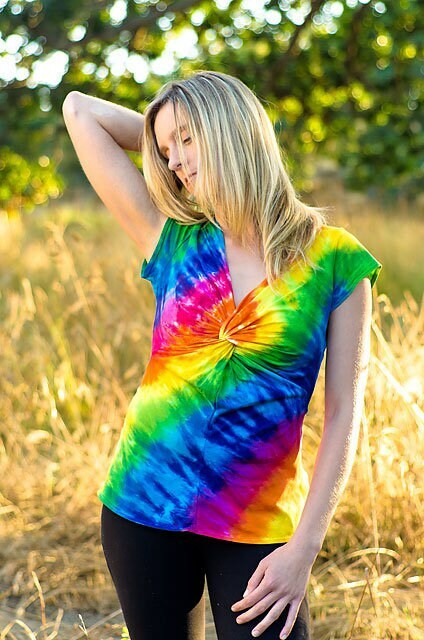 Runs a bit on the small side, so you may need or want to buy a size larger. Check the measurements.